La Porte High School is offering a new Advanced Placement Seminar English class that started the 2018-2019 school year. AP Seminar is a college level course that can be taught through any content or by any subject area teacher. The new English class is available to students from 10th-12th grade. “I think the challenge of bringing college level classes to the high school is exciting for students and exciting for teachers to see the level of depth a student can take on a given topic,” Mrs. McGuire, AP Seminar teacher, said. 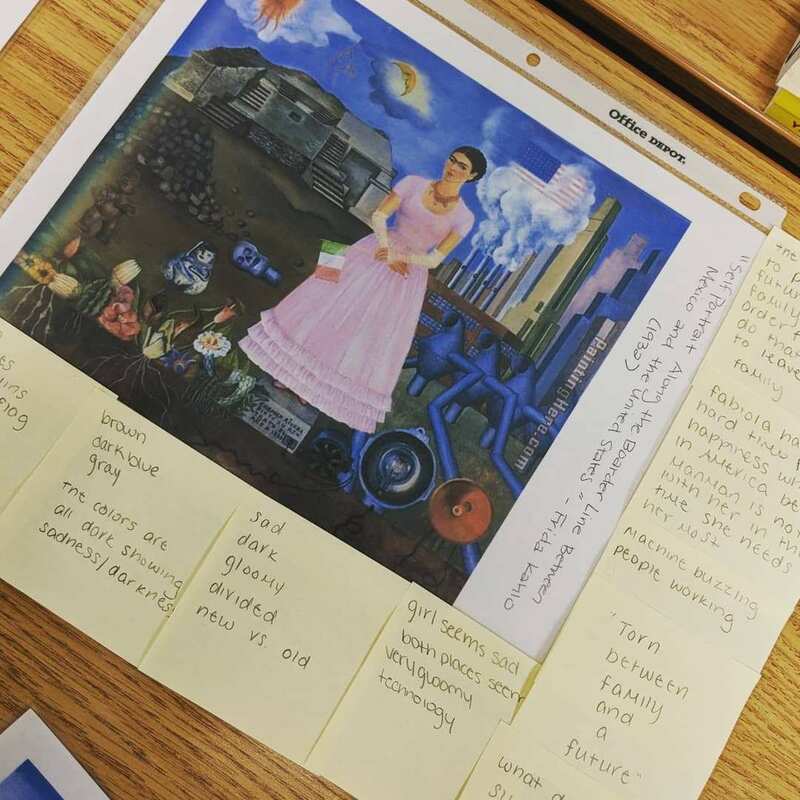 In this class, students learn to synthesize by looking at art, articles, film, excerpts from literature and advertisements instead of spending weeks at a time reading a novel. The class focuses on reading text and building a stance on it. Another important part of this course is collaboration, whether it be in small groups or with partners. Two types of assessments are required from the College Board: speeches and essays. Students will complete two persuasive speeches, two argumentative-research essays, and one final exam towards the end of the course. Aside from the required assignments, other projects will be completed throughout the school year. Since AP Seminar is a new class, many people aren’t familiar with it, but there are quite a few benefits to taking this class. The skills that are learned in this advanced placement course, are not only helpful for the class or college, but for any career that is pursued. Topics in the class are not only based off of literature; they branch off into other ideas such as world issues and finding a solution to those problems. “I totally recommend this class to other students! It’s such a great first AP class. Mrs. McGuire helps you understand the concepts she’s teaching you by explaining topics in more than just one way,” Paige Maudlin, AP Seminar student, said. The progression of the English classes for students on this track starts with students in 9th grade English Seminar, then they transition the following year into AP Seminar. Next on the Honors English track is AP Language and Composition. Finally, senior year, is AP Literature and Composition. Acceptance into the advanced courses are decided by various factors. PSAT and ISTEP scores are taken into consideration. Teacher recommendation also plays a part due to the fact that standardized test scores do not always give an accurate portrayal of a student’s ability. A tremendous amount of time and energy went into preparing for this new course. This class was new for not only LPHS, but McGuire, too. McGuire spent a week in Minnesota at Carleton College earning 30 hours of professional development on teaching AP Seminar. The experience included lectures, discussion, independent planning time to learn new skills, expectations, procedures, and teaching methods from the College Board. Any student interested in taking AP Seminar, see Mrs. McGuire in room J.21 for more information.